Rasta Choco Malt – A truely refreshing malted drink Rasta Choco Malt is a product brand among the Twellium range of top class beverages. The beverages has soon become the favorite household drink go many after we introduced them to the Ghanaian market. We never seize to amaze at parties, get-togethers, conferences, sports activities or during a night out with your friends. we don’t compromise on quality with our products and constantly seek to give our consumers the best experience ever. 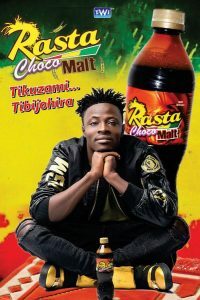 Rasta Choco Malt also has Fancy Gadam, New Artist of the year Category at the Vodafone Ghana Music Awards 2017 as the Brand Ambassador.